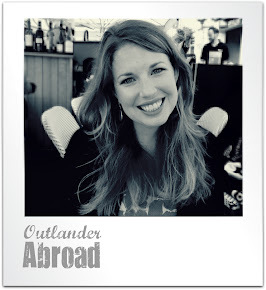 Outlander Abroad: Where do you want to go? It’s the inevitable first question I’m asked after the initial shock wears off from the announcement that I’ll be taking some time off to travel the world. Besides the obvious answer (“everywhere! !”), it’s definitely something I’ve had to take into close consideration in planning this trip… and even more so in deciding exactly which pieces to plan. This was ALWAYS going to be the start of the trip. Besides being a fairly obvious starting point (Peru is a relatively easy destination to reach from the States, and, if moving consistently in an Eastwardly manner, it just makes sense), trekking the IncaTrail to Machu Picchu has come to symbolize for me, the start of my journey of discovery. Since the Trail books up relatively early, this was also the very first destination I knew I HAD to book. And it forced me to go ahead and buy the inevitable one-way plane ticket. Galapagos Islands – Yes, they would be incredible, but I’m not sure the cost allows them to fit into the RTW venture all that well. I imagine this could be a great trip later on. Patagonia – I’ve always, always wanted to do a trek through Patagonia, especially a multi-day visit to one of the glaciers. However, it’s out of the way, expensive, and requires a whole separate set of gear than the endless-summer stuff I’ll be packing. It may be worth dipping down into Chile, but not doing full-on glacier trek this time around. This one’s a surprising must-see for a RTW, but it’s on my list for a couple of reasons: 1) it’s a natural stopover before flying into Delhi, especially if I’m coming from Africa; 2) a first-world country stopover for re-supplying after a potential multi-month stint in Africa just prior to a multi-month stint through India, Nepal, and South East Asia would be really not terrible; 3) it just so happens that the parents of one of my very dear friends live there. So that’s convenient. I may be popping in on them for a week and doing laundry and visiting the desert and the beautiful buildings. Don’t worry parents, I’ll give you plenty of warning J. And thank you! I knew I wanted to see India, but I didn’t really know HOW I wanted to see India. Until a new friend fresh back from her own 9 month wanderings sent me a link to a tour company she had used in Nepal that was running some discounts. 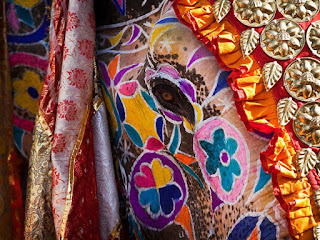 One of the major items on my list I wanted to do was see the Elephant Festival (I do have a thing for elephants), but with it being one very specific date out of the year, I wasn’t sure I could manage being in the exact right place at the exact right time. Until this company offered a trip to see the Elephant Festival, the Taj Mahal, other major sites around India, and…. Holi. Done, and done. That will be a once in a lifetime experience. All of it. A teahouse trek from Kathmandu has been inching its way up my bucket list enough to surpass Patagonia for now. And since that same tour company taking me through India also offers an Annapurna Circuit trek, and since I begged them for an extra discount if I booked two trips, it seems like a no-brainer. Tibet – Seriously, I’m in love with this place. I’m just not sure about the ease of securing a visa, the timing and the transportation, and other things are just simply taking precedent. I definitely want to see the eastern part of China, and to get a multi-entry visa while on the road may be more trouble than its worth. Myanmar / Burma – Hauntingly beautiful seems an appropriate way to describe the vast countryside dotted with temples, and some of the other familiar sites in this country. Tempting, for sure. My original set-in-stone itinerary had me then jumping to South Korea, to Japan, and finally back home. However, I’m leaving this a bit open-ended. Do I think I’ll return to the States when this is over? Absolutely. Do I think I might stay in South East Asia a bit longer, extending my trip past a year? Probably. Do I think I could be convinced to swing down through Australia and/or revisit the lovely New Zealand before heading home? It’s definitely a possibility. So there you have it. The loosely-planned itinerary of this future nomad. If anyone has any tips, suggestions, recommendations, warnings, or just wants to plan on meeting me in any of these (or other) destinations... just let me know J.